At Corban Estate Arts Centre Love is in the air! Celebrate love on Valentine's day! 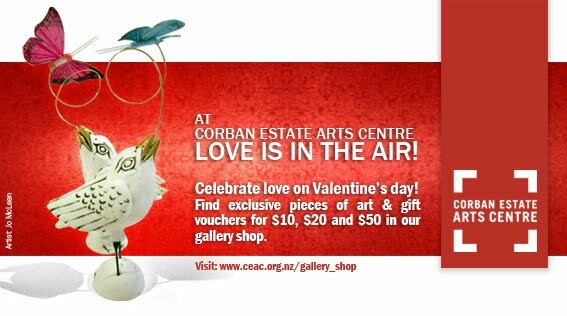 Find exclusive pieces of art from New Zealand artists & gift vouchers for $10, $20 and $50 in our gallery shop. 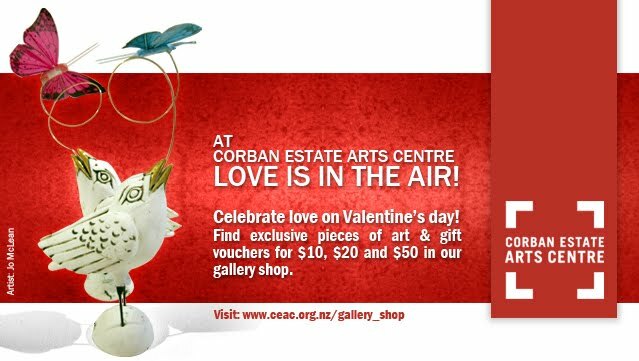 There are lots of great artistic and creative ideas you can give your loved one on this special day!